A lot of people find it difficult to take care of curly or wavy hairs. Most of our customers frequently ask us questions like "how do i take care of my loose deep wave hair" "how do i maintain the curls", "how do i keep it looking new" "how do i bring it back to life when its old and dull". So today i will be writing a short guideline on how to properly take care of the loose deep wave hair in a way that will keep it vibrant and beautiful as long as you want. Loose deep wave weaves have a natural carefree loose curl pattern and very easy to work with. 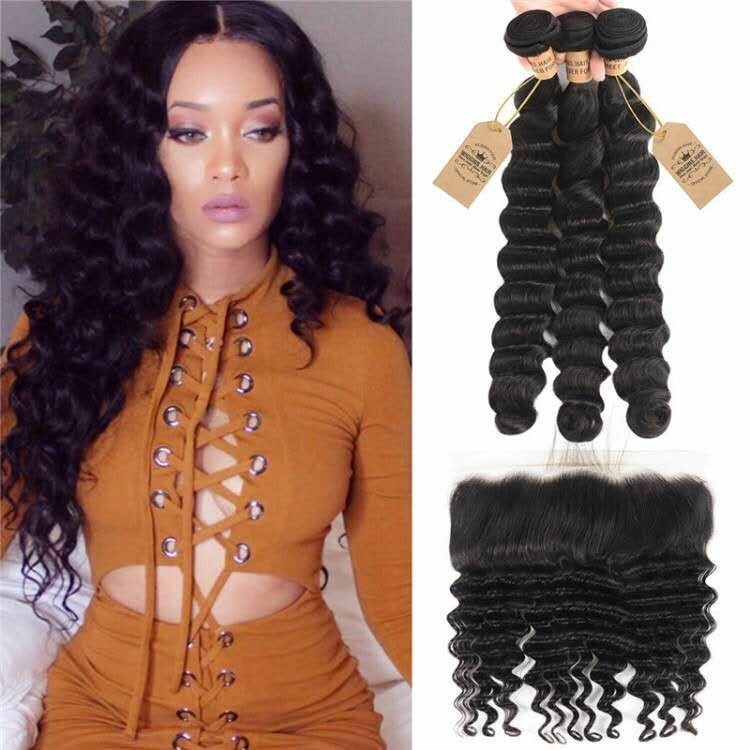 Loose deep wave hair has become more and more popular among women of all class all over the world. 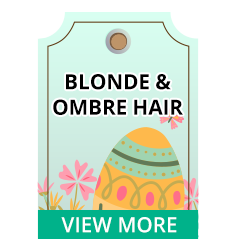 The hair is very light, super soft, shiny, silky and luxurious. Loose deep wave is our best-selling hair for its beautiful appearance, thick, full, bouncy nature and easy maintenance. To keep your hair weaves in good condition, you must treat your weaves just like your own hair. The more you care, the better it would look. 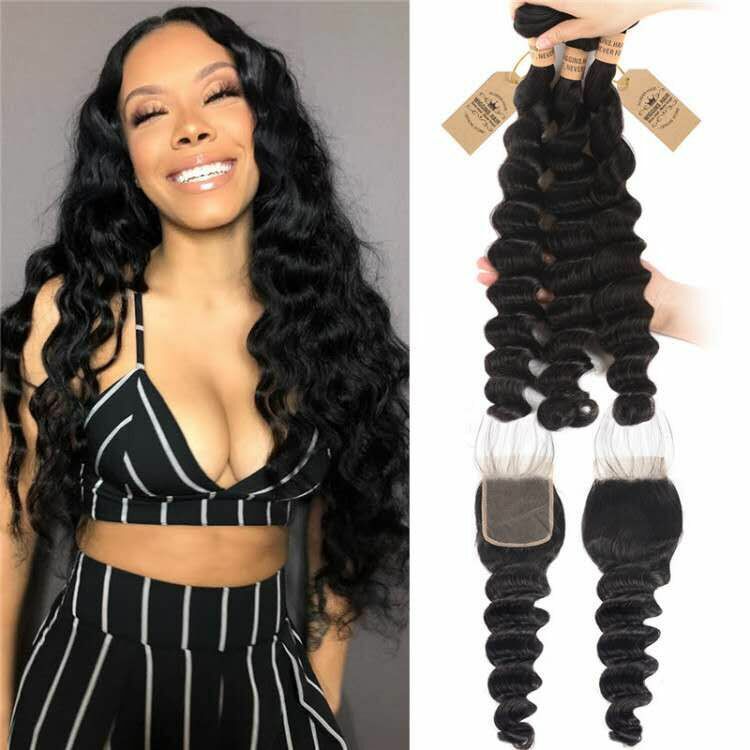 Its best to use fingers first to detangle your loose deep wave hair weaves thoroughly, from ends to the top in order to get rid of any tangles. starting from the roots of your hair may cause breakage. Then use a large tooth comb to give it a proper comb out to make sure there are no knots on your weaves. After detangling your loose deep wave, wet the hair using water in a spray bottle. spray the hair with a generous amount of water to get it lightly damp but not soaked. While spraying the water with water go through the hair with your fingers for this will help to define the already curls on the hair. After the whole hair has been saturated with water apply a tiny bit of a leave-in-conditioner of your choice on the hair. Finalize this step with a hair mousse to hold the curls and give it a shine. Use a smaller brush or a demi brush to smooth hair, let it to air dry and style as desired. It is best you wrap up your hair weave in a satin bonnet or a head wrap If you don't want to wake up with a head of messy hair in the morning. It is a very convenient way to avoid damage and breakage of your hair weave. Always keep your loose deep wave hair clean. Hair will normally tangle when it is dirty and have sweat builds up. Wash your hair regularly in a lukewarm water. Put your hair into the water from ends to the top, wash hair with the finger if possbible, do not rub or twist hair. 1.Soak the hair bundles with the mild shampoo in the water for a few minutes. 2. Rinse the loose deep wave hair weave with a clear cool water. 3. Repeat this again to make sure the hair is clean. 4. Apply a hair conditioner generously and let it sit in a plastic bag for 10-20 minutes. 5. Rinse out hair thoroughly to make sure it is product free. 6.Pat your loose deep wave hair dry with a dry towel and do not brush them when it is wet. Hang your hair extensions to a well-ventilated area, and wait until it is dry. Let your beautiful hair dry completely in the air. Please remember you should not use a hair dryer to blow dry the hair. It is important to deep condition the hair every 2 weeks. This is to give nutrition to the hair. This helps to expand the life span of the hair. It also helps to bring back shine and elasticity to the hair. If you regularly and properly take care of your hair, then you will not have problems with tangle and shedding. It's best not to use heat to style your loose deep wave weave, such as straightening or curling wand. But if you must use it, then use a heat protecting spray and a medium to low temperature. Basically any hair products that is good for natural hair can be used on this hair. So you can as well use any brand of hair products of your choice. Thank you for taking out time to read our blog, I hope you benefited alot from this. Do you have further questions about our loose deep wave? Plese feel free to email us at sns@wigginshair.com for more enquiry or suggestion. If you enjoyed this blog please feel free to let us know. See you next time.